Bucking a trend of declining debate ratings, ABC's Saturday night GOP face-off was the highest rated debate so far in 2016, according to Nielsen. ABC's debate coverage between 8 and 11 p.m. averaged 13.2 million viewers. For comparison's sake, the debate on Fox Business Network (a cable channel that is harder to find than ABC) had 11 million viewers in mid January. The debate on Fox News Channel two weeks later -- the one Donald Trump skipped -- had 12.5 million. Trump's presence on stage Saturday night may have lifted ABC the same way his absence hurt Fox News. ABC also benefited from enviable timing, three days before the New Hampshire primaries, with all the major candidates fiercely fighting for votes. In the key demographic for news programming, adults ages 25 to 54, the debate averaged 3.4 million viewers. No comparable data is available for ABC's Internet stream of the debate, but the network said it had "nearly 1.3 million live stream views" across all of its platforms. 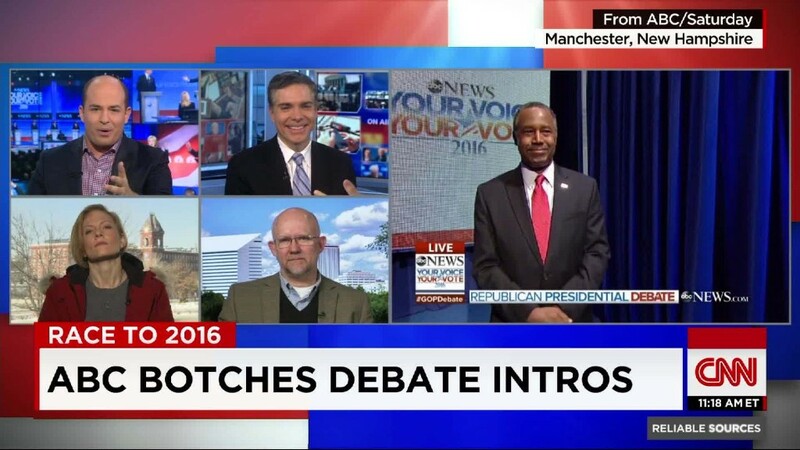 In this election season, debates on cable news channels have generally out-rated debates on broadcast networks. But ABC's debate was the highest-rated one on any broadcast network to date. ABC's Republican match-up also far surpassed MSNBC's Democratic debate earlier in the week. That forum, which was a late addition to the schedule, had 4.5 million viewers, a new low for the debates this season. The second lowest debate of the season was on ABC. There were 7.8 million viewers for its Democratic debate on the Saturday before Christmas. In the overall rankings, the very first GOP debate of the season, on Fox News in August, remains the most-watched one. More than 24 million tuned in that time. The most-watched Democratic debate was also the first, on CNN in October, with 15.5 million viewers.